Home » Blog » zills » Powerful Percussion – Special Skills n’ Drills session! Helene Eriksen and Erik Brown will be sharing their talents with us as guest instructors in the next session of Skills n’ Drills. This special session will be open to all levels and all styles–there is no minimum experience requirement on this session. You need not be a current student of mine to enjoy these incredibly fun classes! 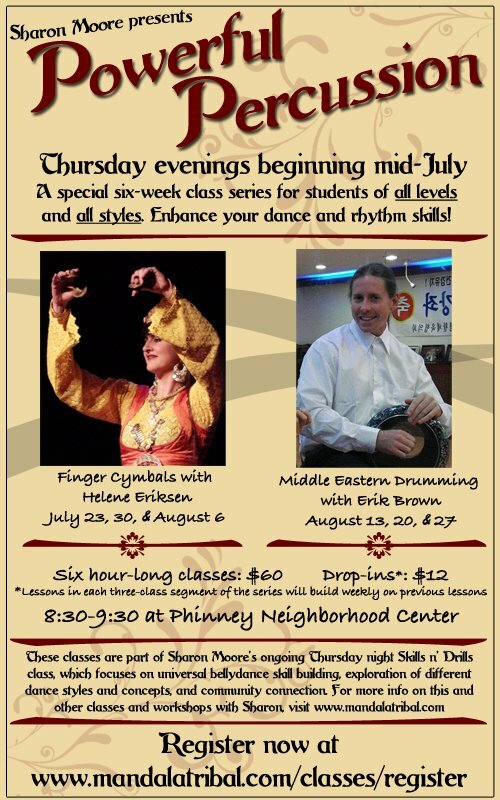 The first three weeks will be an exploration of finger cymbals theory and practice, followed by three weeks of Middle Eastern drum rhythms and drills. Students will come away with new skills in integration of your left and right brain and body, some history of percussion around the world, recognizing common Middle Eastern rhythms in music, and of course lots of time to play play play! A key to becoming a better dancer is to familiarize yourself with the intricacies of the rhythms we are driven by. 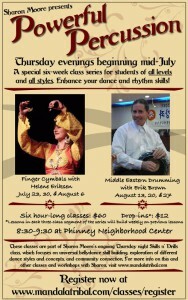 So these classes will teach you not only some great new skills in zills and drumming, but will also enrich your dance! Again, classes are open to all levels, all styles! 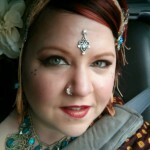 Registration is at http://www.mandalatribal.com/classes/register. The class is listed as “Thursdays Level 2b – Powerful Percussion” in the drop-down if registering through Paypal.